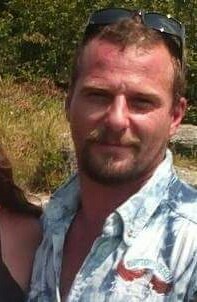 Jason Waters - Howard B. Tate & SonFuneral Home, Inc.
Troy- Jason Eric Waters, 42, of Troy, died suddenly Thursday, June 2, 2016. Born July 28, 1973, in Troy, Jason was the son of Harry “David” Waters of Pittstown and Sheila (Garmley) Phillips of Troy, and the grandson of Shirley Garmley, of Troy, all who survive. Jason was a graduate of Tamarac High School, Class of 1993. Jason was a talented carpenter and “a Wiz” at math. He spent several years in the construction trades of general contracting using his ability to figure angles and calculate figures in his head to his advantage in the work place and in his quiet time with his friends at the billiards table, often besting them in a game of pool. In the past he was employed by the F.H. Alexander Company and as an installation technician for the Ace Overhead Door Company, both in Troy. Jason was a member of the Pittstown United Methodist Church. He was as an outstanding auto mechanic, who loved to compete in as many demolition derby events as he could driving cars he would prepare himself. In his quiet time he enjoyed visiting with family and friends and listening to his favorite musical group, The Grateful Dead. In addition to his parents, Jason is survived by his five beautiful daughters, Corina Rose. Waters of Green Island, Tabitha Crystal Waters, Lydia Emerald Waters, Magnolia “Maggie” Dream Waters, and Ava-Jay Promise Waters, all of Brunswick, his former wife, Trish (Conway) Finkle of Brunswick, his step-mother, Sharon Waters of Pittstown, and sister and brother-in-law, Heather and Michael Daigneault of Pittstown, and brother and sister-in-law, Dameon and Karen Church of Florida. In addition, he is survived by several paternal and maternal aunts, uncles, and cousins as well as nieces nephews. He was predeceased by his step-father, Paul K. Phillips, grandparents, the late Elmer Garmley and Harry and Doris Waters. A funeral service will be held on Tuesday, June 7, 2016, at 7:15 P.M. at the Howard B. Tate & Son Funeral Home Inc., 2237 New York Route 7, located in Raymertown. Relatives and friends are invited to call at the funeral home on Tuesday from 4:00 – 7:00 P.M., prior to the service. Burial will take place on Wednesday, June 8, 2016, at 10:30 A.M. in the family plot in Oakwood Cemetery in Troy. If planning on attending please dress casually in Grateful Dead attire. ​Memorial contributions in lieu of flowers may be made to Joseph’s House, 1218-74 Ferry Street, Troy, NY 12180, in memory of Jason E. Waters.